I love my Granddaughters! I really do! Sometimes though it's a mission to try and make a simple portrait. On our way back from picking them up at Cape Town airport we stopped at Primi Piatti, a restaurant chain that you cannot really go wrong with. 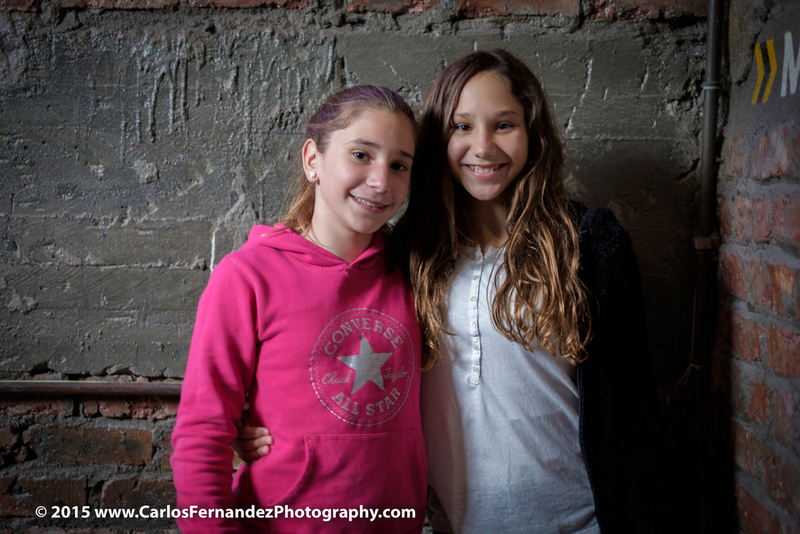 The stairs leading up had a beautiful brick wall to use as a backdrop for some nice quick portraits. So I thought. LOL! After many tries struggling with flipping hair and "two fingered puckered posers" and "duck faces". And, "my hair is not right." I finally got one image that I really like. The one you like is up to you so I posted them all. I love that my office is in Koeberg Nature Preserve. Very quiet. Walking trails everywhere. You never know if you're going to run into Zebra, Springbok, or many other species. Just be careful where you step. Many Cape Cobra's and Puff Adder's here. Not nice. In Winter they're hibernating so not a problem. Come summer they are out. I saw these clouds mid morning and I really liked the shapes and the color gradient as you looked farther East toward the mountains. I don't ever remember wearing beanies in Miami. Only on the odd trip up North or an infrequent ski trip. In those cases I even had to borrow them. I certainly was not the type to wear one in ninety degree weather as is common to see now. That's just ridiculous. Anyway, the beanie is necessary here and I've collected a few already. This is a self-portrait after a surf session in the backyard. 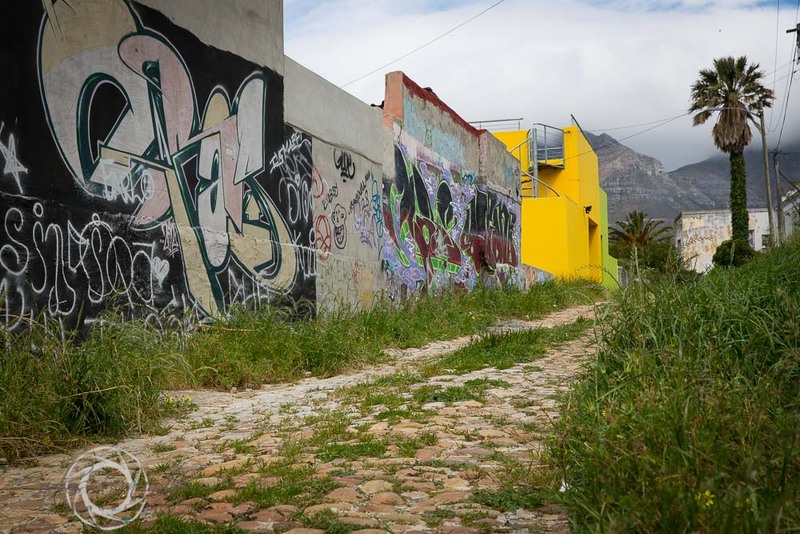 This is the typical image of Muizenberg. Everything that it is famous for in one shot.The Mountains, the Beach, the Surfer, the Colorful Cabanas, the Water, and the Shark Flag. Oh and as an extra added bonus, notice the surfboard painted in the colors of the South African Flag. I could not have staged a better representation of Muizenberg. I love the place! It really grows on you. All Natural Sunset Moon - My 365 Project 121/365. Not much to say about this except that it certainly caught me by surprise. I don't usually get a really clear shape of the sun at sunset. I really liked the reflection off of the clouds. Also trying to make my colors look natural. My 365 Project 116/365. Sometimes my 365 images are not about being artistic. Sometimes it's just interesting or a new thing I've encountered while here in Cape Town. First of all I've never seen Venison (Deer Meat) sold in a grocery store before. So that is interesting and different. On the other hand what is more interesting is to look at the name of the store: Woolworths. Lest it be confused with Woolworths in the USA. Here is the story. Woolworths Holdings Limited (JSE: WHL) is a South African chain of retail stores and one of the largest in the country, modeled on Marks & Spencer of the United Kingdom. This relationship with Britain's Marks and Spencer was formed after the Second World War, which led to the retailer buying all of the unissued share capital of Woolworths in 1947. These shares were later sold, but close ties still remain. The first Woolworths store opened in The Old Royal Hotel in Cape Town in October 1931. It was founded by Max Sonnenberg assisted by his son Richard and Fred Kossuth. The Woolworths brand now incorporates a series of food stores, some of which are attached to department stores, while others stand alone or are attached to Engen petrol stations in prosperous urban areas. Some branches include an in-store restaurant, branded as "Cafe W". Woolworths goods are sold at 149 corporate stores, 51 international franchise stores throughout the rest of Africa and the Middle East and 69 South African franchise stores nationwide. Table Mountain is virtually everywhere you look in Cape Town. This is a view of the mountain at dusk from one of the Northern Suburbs along Plattekloof Road, in what is known as the Boerewors Gordyn (Eng Phonetic: Boorevors Hoardane) (Translation: The Boer Curtain) beyond which the main language spoken is Afrikaans. This dates back to when the English controlled Cape Town. The English ruled the Cape and people in and around the city and the Southern Suburbs spoke mainly English, where the Afrikaaners that were not fond of English rule stayed in the Northern Suburbs and mainly spoke Afrikaans. To this day I almost need a translator there. Not really, but you can instantly tell that the primary language is Afrikaans. Plattekloof offers a beautiful view of the city as it is at this point where you start gaining elevation away from Cape Town toward the East. My 365 Project 103/365. 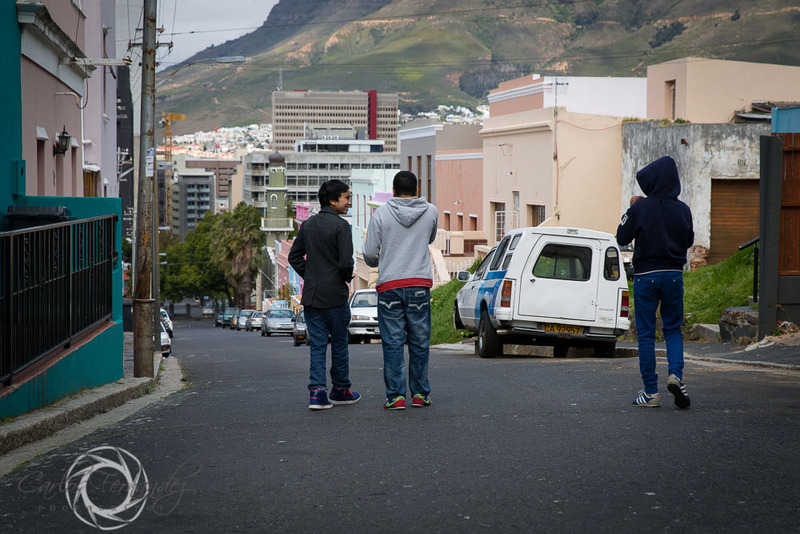 More images of The Bo Kaap from a previous visit. On my evening run I made several images and this one was a pleasant surprise. I initially wanted to get a view of my favorite subject, Table Mountain, from a low vantage point with a sweeping view of the beach in the foreground. When I got home and looked at the image on the computer I immediately realized that what I captured really was not about Table Mountain, but of the texture of the sand in the foreground. While the mountain is there and is certainly pleasing, I was more interested on how you could see the individual grains of sand which is the texture in the image. Surprisingly enough, I got this amount of detail with my iPhone. I saw this little bot in Hout Bay, a harbor town just on the other side of Table Mountain from Cape Town. I had gone to a market that they have there especially so that I could do some photography at the market and the fishing boats in the Harbor. This boy's Mother was selling sea shell trays that you would put change, or your keys in. I stopped and asked if I could make some images of him and she said yes. I also bought to little trays. I will never make an image of someone if they ask for money, but if they're selling something I will always buy. I was out for a run on my Cape Town beach, and making sunset images when I saw another runner coming my way. I waited for him to enter the frame anticipating a silhouette caused by the sunset. #365project #iphoneography #capetown #beachrun #sunset #melkbosstrand. Sometimes Table Mountain is just perfect! I heard some debate to day on the radio whether or not this was the last day of winter here in Cape Town, South Africa. Regardless of whether it is or not I decided to go out with my iPhone and make an image of the potential last sunset of winter. The sunsets here never cease to amaze me. I guess that's what is experienced by living directly on the beach. To that end I thought a lot about the experiences I've had here and the realization that we, as individuals, do not experience enough beauty, nature, people, and travel. We tend, and by that I include myself, to allow too much of our lives to go by un-experienced! And also un-appreciated. As they say here in Cape Town, "sho, shame man." This place and the people here are amazing. I'm sure some will be long time friends. Are there problems here in Cape Town, yes, but probably no more that any other large city in the aggregate. People in Cape Town know how to live. They experience life to the fullest because they enjoy life. Take for instance the Braai. We in the U.S. would call it a Bar-B-Q. But here it has little to do with eating. It's about people getting together, building a fire out of wood and waiting hours until that wood turns to red embers prior to cooking. In the meantime people are talking, sharing experiences and a little bit of drinking. Do I miss family and friends back in the States? Of course I do, but the experiences that I have had and made here, and have yet to experience are, and will be priceless. And I plan on sharing those with others when I get back to the U.S. So what started out in my mind as just going out and making a simple image has reminded me of all of the advice that you hear in song, in writings, and in the movies. Go out and experience life. Take that risk. Travel to that place that you've always planned on visiting, but haven't. Most of all, live a life without regret! Last Saturday I traveled to Stellenbosch at the urging of a friend as it is definitely a place not to miss if you visit Cape Town. I was also advised that I may have trouble communicating as Stellenbosch is also VERY Afrikaans. Well, they were right on both accounts. I've seen towns, but what could be so special? When I got there it's as if I had been transported back in time with all of the Dutch and Afrikaaner architecture. Not to be lost in the conversation, it is the home of Stellenbosch University. A fact I did not know is that Stellenbosch University is where the South African National Rugby Team, Springboks, was founded. The town was founded in 1679 by the Governor of the Cape Colony, Simon van der Stel, who named it after himself — Stellenbosch means "(van der) Stel's Bush". Humble guy. 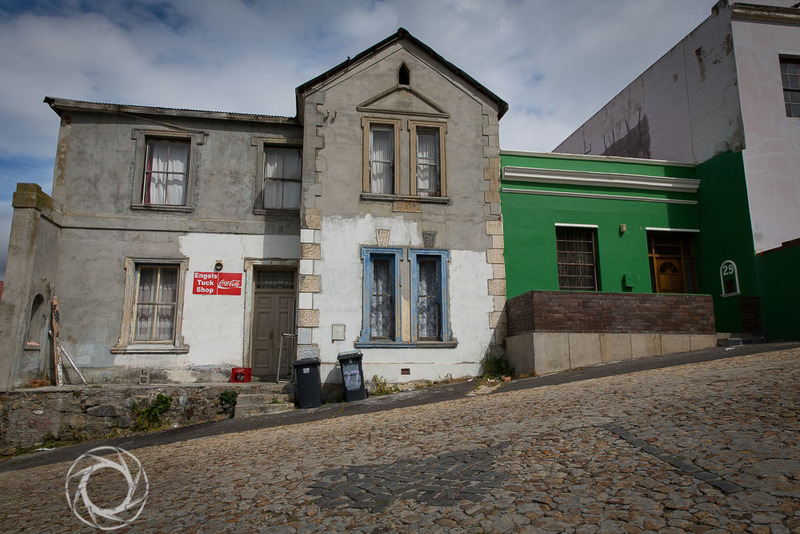 It is situated on the banks of the Eerste Rivier ("First River"), so named as it was the first new river he reached and followed when he went on an expedition over the Cape Flats to explore the territory towards what is now known as Stellenbosch. Yes, there were modern shops, galleries, restaurants, and cafe's, but all was in theme with the aged charm, of the town. It was a shame as most Galleries and shops were closed as I got there later in the afternoon after getting lost on the way. Not a surprise. There is wine everywhere. During 1690 some Huguenot refugees settled in Stellenbosch, grapes were planted in the fertile valleys around Stellenbosch and soon it became the centre of the South African wine industry. I don't know much at all about wine personally as I am a beer snob, but I have been told that the South African wines are among the best in the world. Unfortunately, my stay was cut short as it was raining, so my time there was very limited. Here are a few select images. I will definitely be traveling back to Stellenbosch in the near future on a nice day. Hopefully I can find a bar with good beer!